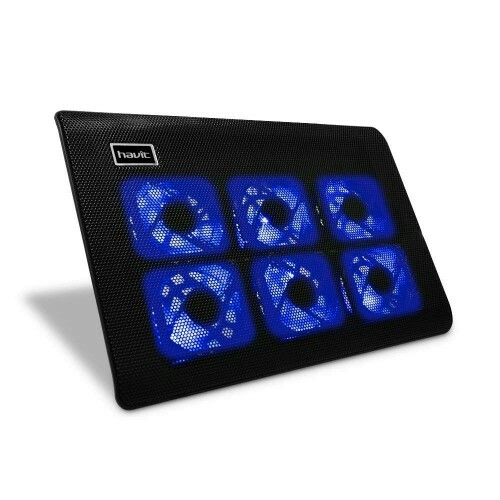 Slim, Light Weight, and Portable Barely over an inch of thickness and only 1.4 lbs of weight, the HAVIT 15.4" laptop cooler is ultra-portable and protects your investment wherever you go. 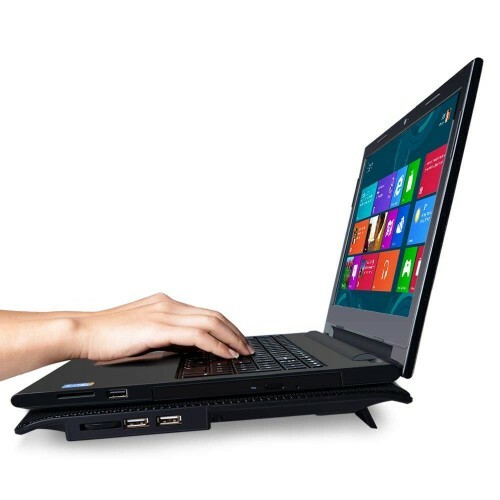 Ergonomic Comfort With the help of ergonomic design and the 2 adjustable height setting, the HAVIT 15.4" laptop cooler provides you with the most relaxing incline angle for all-day viewing and tying. 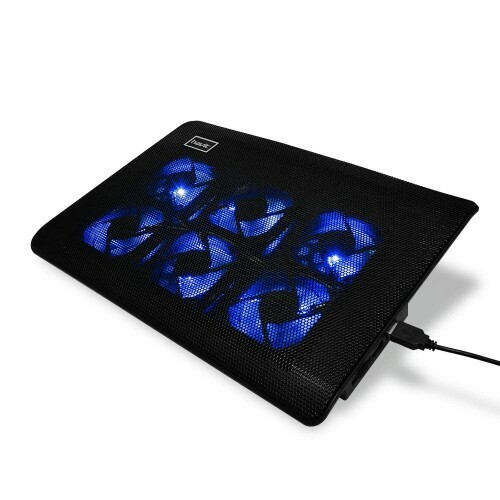 Optimized for Laptop Carrying The high-quality multi-directional metal mesh of HV-F2060 15.4" laptop cooler provides your laptop with a wear-resisting and stable laptop carrying surface. 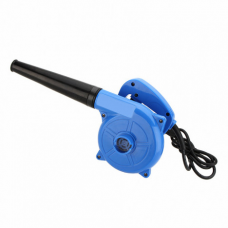 Superior Cooling, Whisper Quiet 6 fans with adjustable wind speed obviously improve the cooling performance. 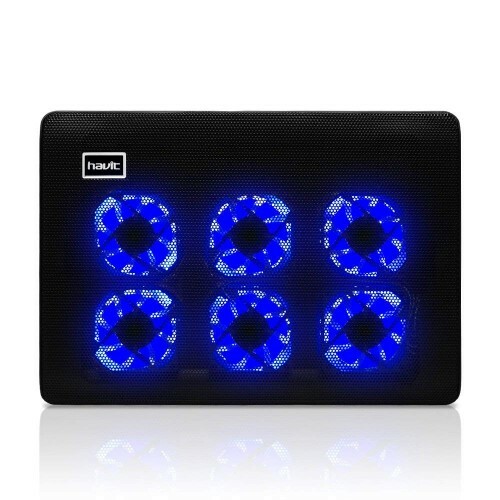 Extra USB Ports Need extra USB ports while using HAVIT 15.4" laptop cooler? 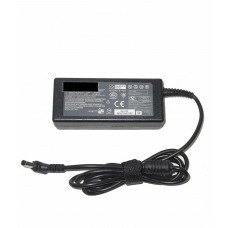 Just plug it into one of the 2 additional pass through USB ports on HAVIT 15.4" laptop cooler.